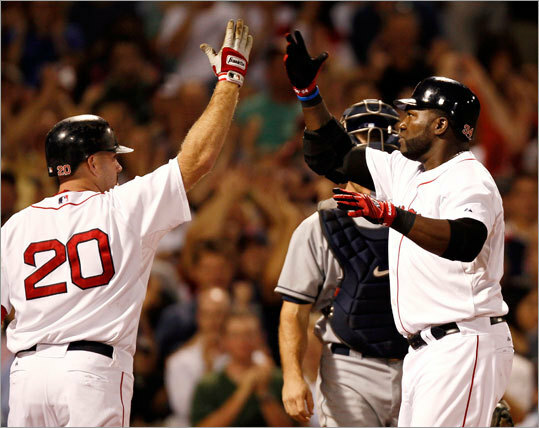 David Ortiz (right) will make his sixth appearance at baseball's All-Star Game July 13 at Angel Stadium in Anaheim, Calif., and teammate Kevin Youkilis has a chance to if he wins the "Final Vote" being conducted by Major League Baseball. Whether Youkilis wins or not, at least six Red Sox will have their names in the All-Star history book as representatives of the American League this season, although three are on the disabled list and won't participate. Here's a look at the All-Star history for each player named to the 2010 team, and the case for Youkilis is spelled out at the end of the gallery.